Amazon has been dreaming of it. A small of Wisconsin (USA) has done it. 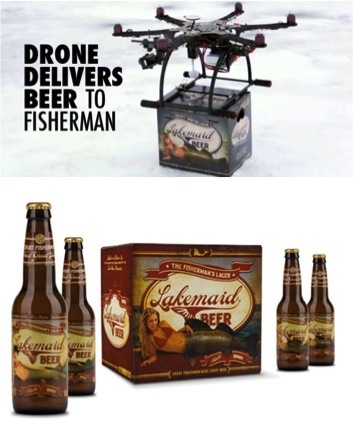 Settled down closed of a lake where numerous fishermen have their habits, the Lakemaid Beer brewery has imagined to resupply them thanks to Drones. They just need to transfer their GPS position for a pack of beer to be delivered from the sky right next to their seat… If the experience was shorten for security reasons, it is no less interesting and revealing a significant change. Drones are in vogue. It would not be a surprise that, one day soon, their usage is finally fully regulated and normalized. Light, unexpected, their originality attracts but also carries a new imaginary… See the world from above has always been a fascination. After Icarus, Leonardo Da Vinci, Wright Brothers, Sergey Korolev, Armstrong … Google Earth allows today everyone to have a glance to our Blue Planet in one click. Drones are riding on the same fascination with, in addition, the possibility to associate some services – delivery in this case. An opportunity for brands expecting to assert their difference and modernity, and offer new customer experiences. 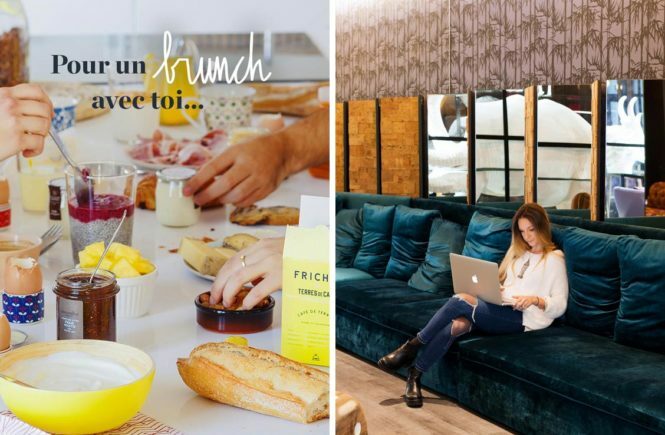 To see products falling from the sky was only possible in advertising… till now… With products landing close to the person who is waiting for, it becomes even more exciting… Think, see, consume, all in one go – the marketing of synchrony is underway. There is no one e-commerce actor that is not complaining about the delivery challenge of the last meters before reaching their clients’ home. Drones could be a solution as efficient as spectacular. New technologies have largely contributed to help brands to develop their relationships with their consumers. Why couldn’t they contribute to also reinforce their presence close to them?